If that sentence makes any sense, you’re probably already a member of the Facebook group GPs Down Under. And a good interpreter of poor syntax. It’s the only phrase I’ve ever written which has been turned into a badge, useful for starting conversations at medical conferences and stopping them at parties. GPs Down Under has changed my life. Well, not in the way my wife has, or salted caramel ice cream. But the GPDU discussions with colleagues from around Australia have, more than anything else in the past year, enhanced both my clinical judgement and enthusiasm for my chosen career. Last year a couple of GPs, granted asylum here from the terrorised British NHS, started a ‘closed’ Facebook page for GPs to discuss an interesting article, a patient treatment conundrum, or medical politics. Members could post photos of de-identified patients with permission, and of identified health ministers without it. So overwhelming was the response that it now takes an admin team of seven GPs just to process the hundreds clamouring to join. I snuck in early, before they tightened security. The early adopters were GPs already active on social media, but rural doctors quickly recognised the rewards of instant interaction with a geographically diverse community. One admin doctor lives on Kangaroo Island, so no coincidence when many fellow islanders on Tasmania and New Zealand signed up. Our most ‘down under’ GP lives on the Antarctic base, but she usually just posts photos of penguins (de-identified). Most of the original members are GP-educators, interested in discussing resources useful for students and registrars. No surprise, then, that many recent converts are registrars, a generation already familiar with Facebook via hours spent deleting dubious student selfies upon receiving their AHPRA number. The group of almost two thousand thrives on encouragement and helping each other out. It reflects the rise and rise of social media as an educational tool – Free Online Medical Education (FOAMed) and something called the flipped classroom, although how gluing your desk to the ceiling improves learning is beyond me. As much as anything, GPDU serves as a barometer for how fellow GPs practice, and what issues they consider important. If everyone is using an intervention you’ve never heard of: time to YouTube it. Even better, if you still do something which the cognoscenti stopped years ago, throw your old lecture notes into the furnace and forge some new tools. Try GPDU. It’s a private haven to bare your doctory soul, and there’s a whole lotta love in the room. This entry was posted in medical writing and tagged #FOAM4GP, facebook, Flippant, GP, GPDU, Medical Observer. Bookmark the permalink. Justin Coleman eloquently outlines the beauty of the GPs Down Under facebook group. 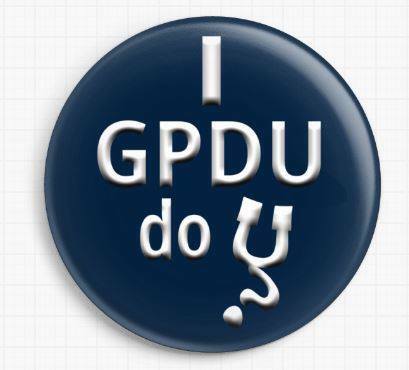 So, to all our Aussie and NZ GP readers… do u GPDU?? Can’t get Facebook at work- please hurry up with alternative access. Hi Jane, it’s FB or nothing, I think. Maybe your mobile phone? Have just left FP and linkedin. How can I connect via mobile? No, I meant using the mobile to access FB if work blocks it. GPDU exists solely as a Facebook forum…there is no other way of accessing it.